Your work schedule is probably packed from the minute you get there until long after you were supposed to go home. That can make it tough to find time for a delicious lunch in one of our restaurants in Santa Fe. Many people are skipping their lunch break in favor of having more time during their work day to get things done. For some people, it’s the only time they get to work that isn’t interrupted by phone calls, co-workers, and endless meetings. 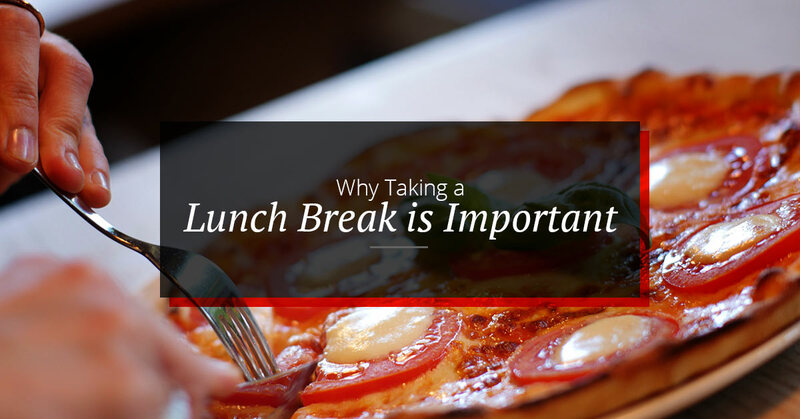 But no matter how busy you get, you should still be taking your lunch break. 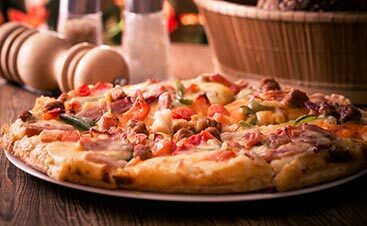 Here are some of the reasons your lunch break is good for you and your job, and how Upper Crust can help make it the best lunch possible. It helps with brain function. Your brain needs nutrition to survive. Eating a healthy lunch can fuel your brain with the nutrients that it needs in order to help you do your job. Skip your lunch and you are more likely to feel the effects of brain fog later in the afternoon. That’s tough on your productivity and motivation, and you definitely won’t be doing your best work. Give yourself a delicious lunch and your brain will be firing on all cylinders for the rest of the afternoon. A break can help avoid burnout. If you are working a high-stress job, a lunch break could be even more important. That’s because the break in the middle of the day could help you avoid total burn out on the job down the road. Stepping away from your job for an hour allows you to destress, get some perspective, and remember that there is life beyond your office walls. You’ll be more motivated when you come back, and you are more likely to stay motivated for longer. That can be good for your career. People who eat lunch are more likely to make healthy eating decisions. Instead of feeling rushed and going through a drive through, you can pick a place that offers healthier options. Skipping lunch entirely can leave you so hungry at the end of the workday that you make poor choices about what and where to eat after work. Eating lunch means you won’t be so hungry and you’ll be able to make better choices. That’s good for your health and your waistline. You’ll be more focused afterward. Stepping away from work for an hour can actually help you be more productive when you are on the job. Humans aren’t meant to work without stopping. We need breaks to recharge our mental and physical batteries; that’s why we’re made to sleep at night. A lunch break is a mini retreat that allows you to recharge and return to work refreshed and ready to take on challenges. You’ll find your productivity levels are much higher when you take a lunch break. Lunch is a time for you to get to know your colleagues, too! Taking time to eat together can help you learn more about each other, which can help you work together more efficiently on the job. It can also provide you with some important networking opportunities that could help you advance your career or find the right candidate for a job opening. It’s important to get to know the people you are working with, and your lunch break is the perfect time to do it. 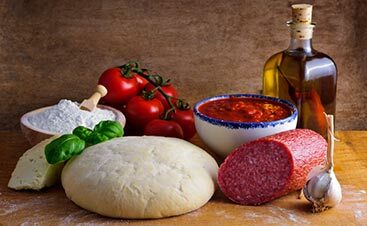 If you are looking for restaurants in Santa Fe that are easy to get to from your office and offer great lunch time deals, Upper Crust is the place to come! Our lunch specials are available at our Santa Fe location from 11 a.m. to 1 p.m., Monday through Friday. 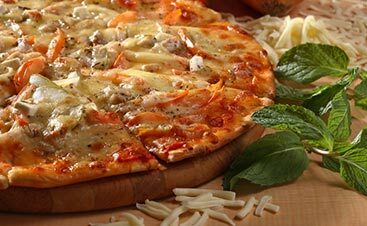 You can grab one slice of pizza with a topping, side salad, and a drink for just $5.75! That’s less than you’ll pay to go through most drive-throughs in the area. Our high-quality food will fuel your brain for the rest of your workday, and our restaurant is the perfect place to meet up with all of your coworkers. 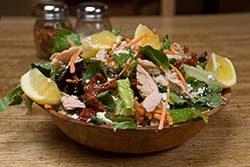 Come into our restauarant in Santa Fe for your next lunch break and see how great we can make your workday!